In an exclusive interview with Forbes, Rwanda’s First Lady Jeannette Kagame, discloses some of her traits and values that have inspired women and young girls in the country, and particular those around her. Her staff told Methil Renuka, Editor of FORBES WOMAN AFRICA, that the first thing she does in the morning is to send a text message of a ‘warm greeting’. And before she leaves office, she sends another wishing everyone a ‘good evening’. Not often talked about in the local media, less is generally known about both Jeanette Kagame’s professional and private life. The revelation of her ways has touched people’s hearts. “I knew, the First Lady cannot have such a big warm smile, and not be so kind, but yeah, here we are, we get to know a few more details of her humility,” says Christine Murangwa, a university student and an fervent admirer of the First Lady. The First Lady works with a team of young, spirited, hard-working women at Imbuto Foundation; a philanthropic organization. 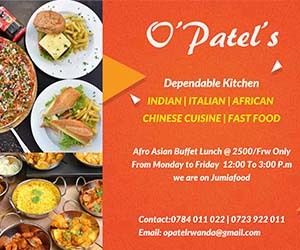 “We have a family spirit at Imbuto…we put passion in everything we do as that is the way she does it,” says Ndejuru. Other First Lady’s qualities include ‘phenomenal memory’ and ‘great attention to detail’. “I always ask her: ‘do you sleep enough?’ Ndejuru adds. Apparently, she sets her own goals. Her passion is her fuel, and her dreams know no bounds. She is constantly learning as much about the world, her staff told Renuka. “First Ladies are sensitive as well, aren’t we? (Laughs) We are human beings as well at the end of the day… Each one of us has tried to do it, to reach out to the people in need… And I too realized the chances that I have and the proximity that I have with some of the decision-makers, I felt I could not waste them and sit down and be comfortable without using them efficiently,” she is quoted saying. 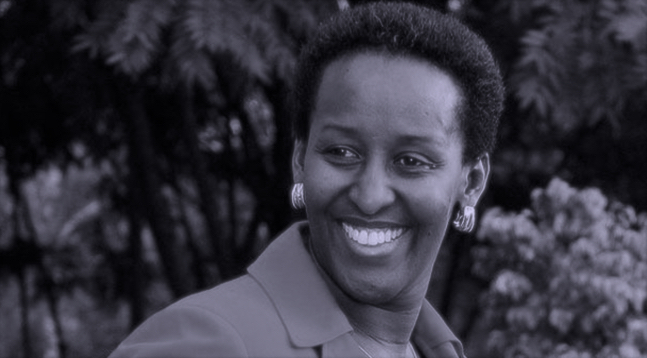 On a more serious note, Jeanette Kagame explains her passion for championing for women’s emancipation and advocating for young girls’ future, a campaign that has enormously contributed to re-build Rwanda. She says investing in empowering the youth will contribute to the country’s economic progress. With the famous quote ‘When you educate a girl you educate a woman’ at heart, Her Excellency has flawlessly managed to impact the lives of numerous young girls all over the country with her initiatives under her foundation. The foundation which she started 16 years ago, supports the development of a healthy, educated and prosperous society with focus on the provision of knowledge and skills to the youth in a variety of fields, including health, education, mentorship and self-development. Jeannette Kagame loves children. She is always seen having “cool’ moments with children whenever an opportunity appears. Photo/State House.